SILVER SPRING, Md. 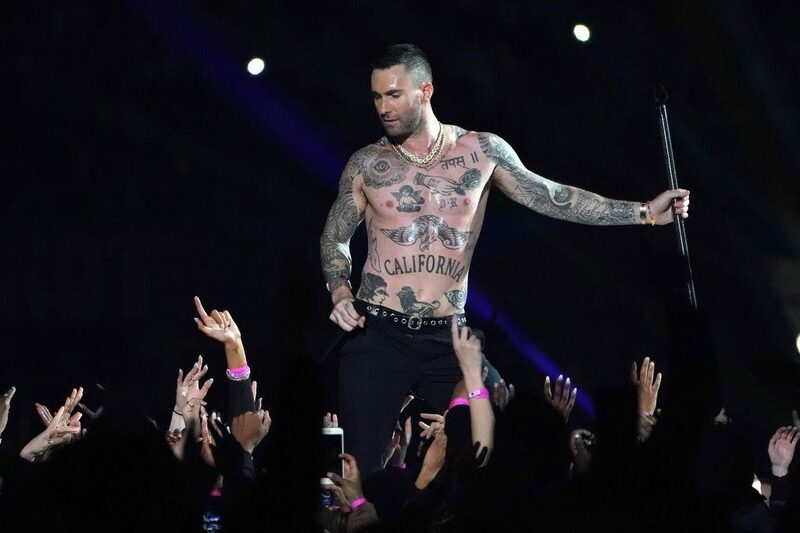 --- Immediately after Maroon 5's performance at this year's Super Bowl, the General Conference commissioned Adam Levine's tattoo artist to do what it called "cutting-edge apocalyptic beast artwork." The GC issued a statement saying that "one glance at the impressive beast illustrations on Levine had us convinced that we had found a new look for Daniel and Revelation seminar powerpoints going forward." Though the GC statement showered praise on the artistic prowess of Levine's tattoo artist it warned Adventists that, "just because we are using this guy to give our artwork a facelift doesn't mean everyone can show up to church next Sabbath with tattoos." Game Show Launched: Who Said It – EGW or the Bible? Perhaps if I get all the Daniel & Revelation beasts, etc. on my body, I can strip down for complete studies? Currently, I am having my feet done in clay & iron so I can study the 10 kingdoms. Take a look if you want!! I was elated to hear of the GC’s decision, and my understanding is that the first series of meetings heralding this new artwork is to be titled ‘NET Maroon 5.’ May the work continue.